Thai inspired Mexican street food - hot loaded corn on the cob. The smell, the taste, the texture. This has it all. Use it as a side or vegetarian main on your menu. In a pan melt the butter. Add in remaining ingredients and continue to move and toss pan until golden brown. Season with salt and pepper. Peel back husks place in pot of cold salted water and bring to the boil. Cook until kernels just soft. Mix the butter and KNORR Thai Sweet Chilli Jam together and brush over corn cobs before grilling on a char grill. 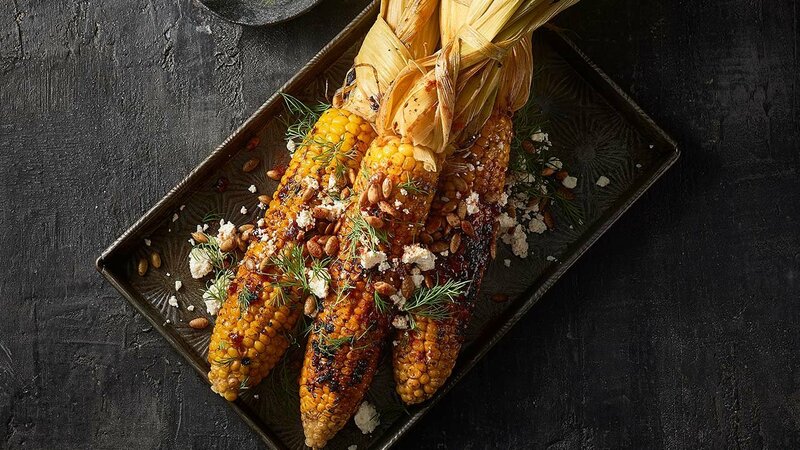 Place corn on plate once grilled and hot – sprinkle with crumbled feta, ground paprika, pepita and fresh dill.